I hate summer. 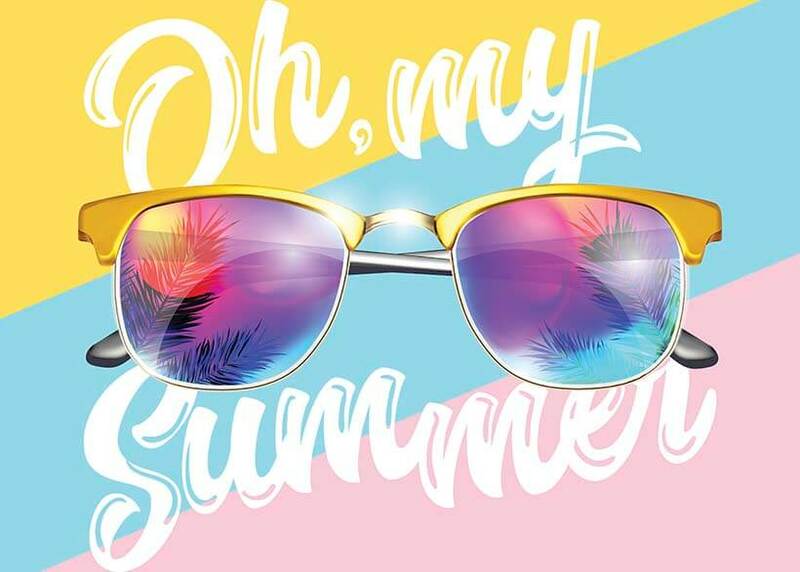 Yes, I said it… I absolutely, completely HATE summer! My brain and my body simply cannot handle the heat. It makes me feel constantly drained and the migraines go up hundred-fold. I feel like my brain cells are actually melting. It’s so difficult to get on with anything – writing, cooking, sleeping, eating – when every pore of the body is reeling from sweat and heat. Everything just feels so disgustingly uncomfortable. And that’s not even counting the hot weather’s beauty woes, like chronic outbreaks of acne and greasy faces. Unfortunately, sometimes there is simply no escape from the heat, whether it’s because the power has gone off, the air conditioning is broken or one is out and about in a place where there is no cooling. Then what is a poor soul to do? Thankfully the summer specialists have solutions at hand to beat the heat wherever you are and whatever you are doing. Read on and chill out… literally! 1. Mist, mist, mist. And then mist again. With rosewater, if possible. Or with a mint and eucalyptus based spritzer, like Aveda Botanical Kinetics Toning Mist . 2. Similarly, a cool moisturizer feels awesome on a hot summer day (or night). Added bonus: it instantly constricts the dilated blood vessels that cause redness. So, store skincare products like sunscreen, toners and body sprays in the fridge. 3. Need to cool down, stat? Apply ice packs or cold compresses to pulse points at the neck, wrists, elbows, ankles and behind the knees. Even resting a frosty glass on your wrist or an ice cube against your neck will do the trick. 4. Another way to chill out super-fast: Soak your feet in a cool bath. Because your toes, feet ankles have so many pulse points, immersing them in cold water helps bring down the temperature of the rest of your body as well. 5. Hate your hair getting sweaty? Aim salt spray at damp roots and then let you strands air-dry. This will give your roots some volume, while also soaking up sweat and oil through the day. 6. Perfumes help. Specifically, mint-based ones. 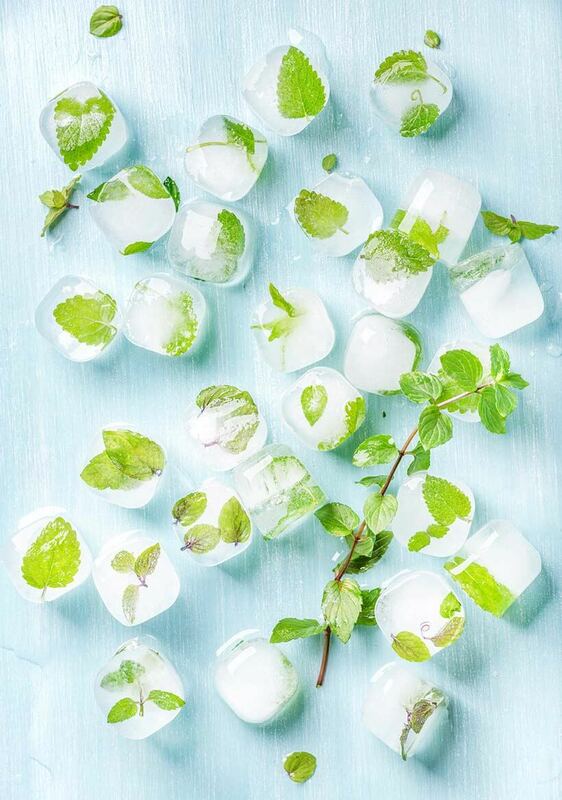 Because mint triggers cold receptors in our brain. Here are two of my favorites: Jo Malone’s Fresh Mint Leaf Cologne and Santa Maria Novella’s Herb and Mint Water. 7. Or take a minty cool bath: Just add several drops of peppermint or spearmint essential oil to cool bathwater. You’ll feel totally refreshed. Plus, not only is mint a natural astringent, it also helps relieve heat-induced anxiety. 8. That clichéd shot of the spa goer with refreshing cucumbers on her eyes is a cliché for a reason. Moisture-rich cucumbers are ideal for a summer cool-down. But don’t just restrict them to your eyes; mash up a few and slather them on your entire face for 20 minutes. They will refresh and brighten! 9. Step up the ice cube effect by pouring a skin toner in the tray and popping into the freezer. Massage parched skin with the toner cubes to freshen and cool. I am perpetually stocking up on Anne Semonin’s Ice Cubes to help my skin deal with the heat. 10. Try an off-the-shelf cooler. My top picks: Milk Makeup’s Cooling Water Stick to cool, smooth and pamper your limbs; Korres After Sun Greek Yoghurt Cooling Gel, which drops the whole body’s temperature by a few degrees even in the most oppressive heat; and Skyn Iceland’s The Antidote Cooling Daily Lotion, whose icy blast both chills and protects. Extreme measures needed? The Flexi Freeze Ice Vest stores up to 96 ice cubes and will keep you cool in the hottest weather! 11. Stop eating big meals. Large, protein-laden meals cause your body to heat up. Instead, have smaller snacks every 2-3 hours. 12. Feast on hot peppers. Not kidding. 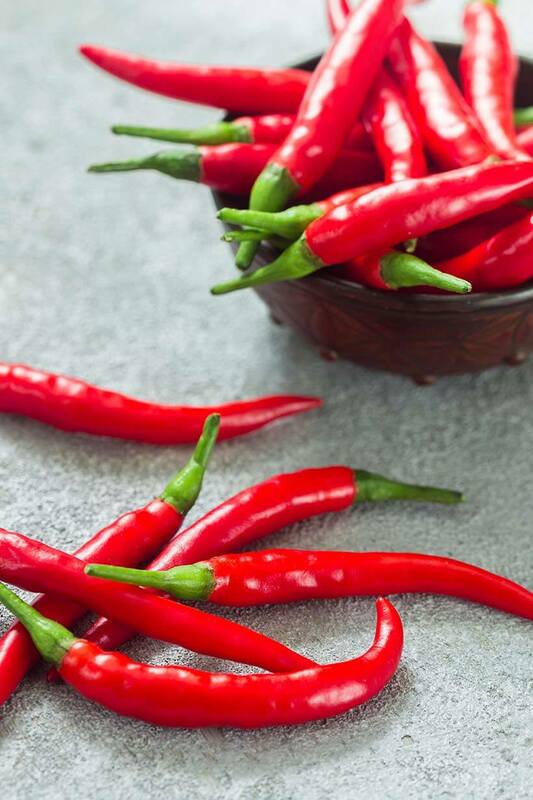 Spicy foods make you sweat, thereby cooling the entire body. 13. And don’t forget the buttermilk. Have it without salt to boost your digestion, which makes you feel both cooler and lighter. 14. Tossing and turning and sweating at night can result in dehydration, so drink a glass of water before you hit the sack. 15. Swap those satin, silk or polyester bedsheets for cotton. The latter are breathable and also help promote airflow in the bedroom. 16. Better still, when temperatures soar, trade in the mattress for a straw or bamboo mat. These all-natural sleeping surfaces don’t retain heat like a bulky, layered mattress. 17. Want more? Sprinkle some baby powder on the linens before getting ready for bed. Total chill out factor! 18. Still need something more chilly? Pop your sheets into a plastic bag and then into the fridge or freezer for a couple of hours before bedtime. The bed will never have felt so nice and cool! 19. And feel free to hog the bed! Sleeping alone is way better than spooning for staying cool. Cuddling increases body heat, making the bed a hot, sticky, sweaty zone. Plus, when sleeping alone you can stretch out in a spread eagle position (i.e. with arms and legs not touching each other), which is best for reducing body heat and letting air circulate around the body. Tough but true! 20. Did you know that, even when they’re turned off, plugged-in appliances give off heat? Unplugging your toaster, your blender and the washing machine can really help cool things off. 21. Same goes for the lights. Light bulbs (even environmentally-friendly CFLs) give off heat. So, take advantage of natural light and keep rooms cool after dark by using lights minimally or not at all. Romantic candle-lit dinner, anyone? 22. Create a cross-breeze: Point box fans towards the windows so they push hot air out and adjust ceiling fan settings so the blades run counter-clockwise, pulling hot air up and out instead of just twirling it around the room. 23. Go old-school with a DIY air conditioner: Position a shallow pan or bowl full of ice in front of a fan. The breeze will waft off the cold water from the melting ice’s surface, creating a cooling mist. 24. Buy a hot water bottle. Not kidding! Instead of packing it with heat, just fill with water and stick it in the freezer. Instant ice pack! Do you like summer? What are your secret tricks for beating the heat? « DIY for PMS days: Never get menstrual cramps again!